ABS Injection Molded In Shape. Can Be 7.5cm、13cm、15cm、17.5cm、20cm. Open 5 Size Mold. 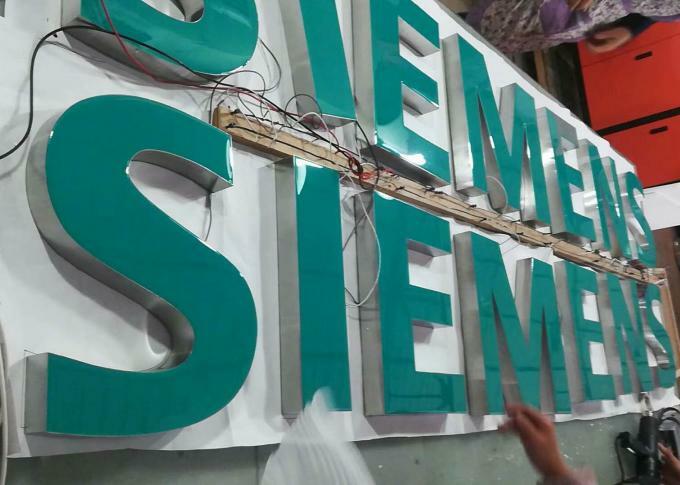 The front lit resin letter is good lighting diffusion and high brightness.From small brand in shop to big letter on the roof,resin letter is widely used as decoration with excellent visual effect. 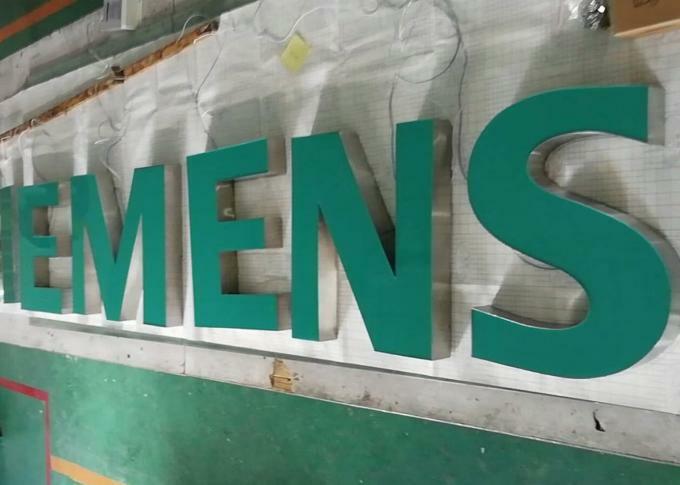 Resin luminous letter compose with outline border,resin material,luminous source three parts；The letters are using high brightness SMD LED module with long span using and low consuming. The resin injected panel is UV grade and good outdoor performance,lighting out from the resign panel will be soft eye seeing. The edge is made injection casted ABS plasti with good outlooks and no any combine area in the returns,it’s well fabricated. If you like this letter ,just provide your idea or design to get an quote. Material injection made ABS returns &casted resin as front panel. 1 1.0mm ABS plastic injection molded made with white or blue color for choice. casted customized color resin as front panel. 4. 1:1 template paper would be prepared for you to install them easily. 5. Interior PC guiding light panel for even light displaying. 3.ABS return with injection molded made. 4.LED modular with multi-color for choice ,long time span using. 5.Resin casting front panel emit soft light from the face and not sparkle eyes. 7.Electrics component can be CE ,UL approval. 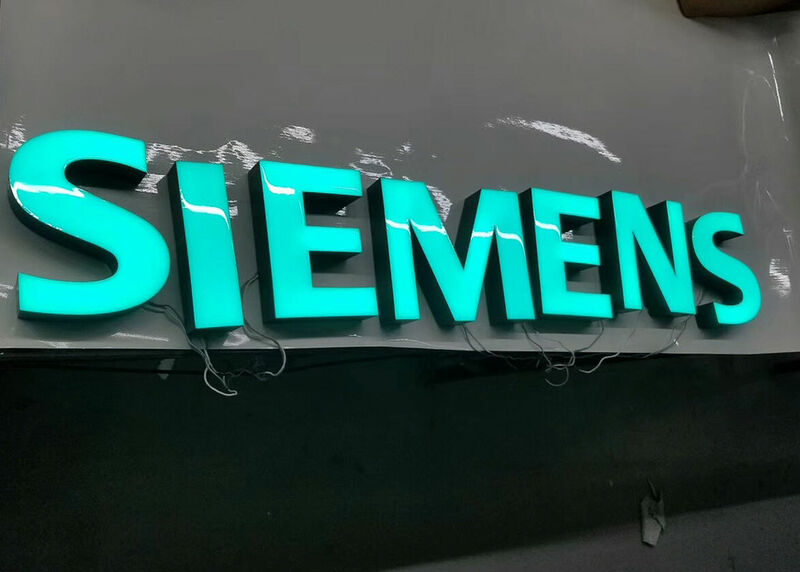 SIEMENS Front lit Resin LED letters are ideal options for interior stores of SIEMENS product cabinet advertising.